Apex, NC is a popular North Carolina Triangle community that has earned it’s reputation as The Peak of Good Living. Apex is also the town that many chiropractic clients of Sandez Family Chiropractic & Wellness Center call home. Apex is conveniently located in Western Wake County, in very close proximity to Research Triangle Park, Raleigh, Cary, Durham and other Triangle communities. It is also in close proximity to the home of Sandez Chiropractic, in the western portion of Cary. Our ease of accessibility makes Sandez the preferred choice for many Apex NC chiropractic patients. Sandez Chiropractic is pleased to offer Apex residents a full range of chiropractic care services. Sandez provides chiropractic adjustments, rehab & chiropractic care for victims of auto accidents, exercise therapy and traction therapy for patients with acute or chronic injuries, chiropractic Electronic Muscle Stimulation (EMS), specialized chiropractic care during pregnancy as well as for infants and children. The town of Apex was named by Money magazine as The Best Place To Live in America in 2015. Apex also made the Top 10 list, as well as the best place to live in North Carolina, in Money‘s 2013 survey. 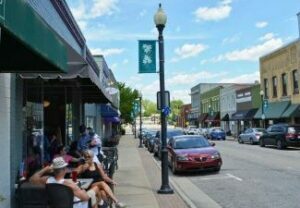 The downtown area of Apex is quaint, stylish and filled with engaging shops, restaurants and other attractions. In the surround areas, Apex is enjoying the benefits of managed growth; providing it’s residents and workers with exceptional quality of life amenities, such as appealing neighborhoods and a variety of retail options. The opening of the town’s second public high school, Apex Friendship High School, in August 2015 and plans for a third high school within the next decade are yet more examples of the dynamic activity taking place in the greater Apex community. 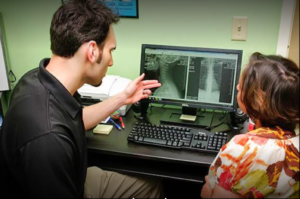 Sandez Chiropractic is located within a few short miles of the Apex community and is pleased to provide chiropractic services for many patients who live or work in this popular NC Triangle town. Any time you, a family member or friend requires the services of a qualified, experienced chiropractor in the Apex area, we hope you will call on Sandez Chiropractic for the best in chiropractic care. For more information about the practice or to book an appointment call 919-535-3091 or use our Online Form.